In today’s technologically connected world, we are constantly using Google Search to find the answers to our questions. In seconds, we can find the location of the nearest sandwich shop along with its reviews, website, and more. This is an example of geographic information systems (GIS) technology in action. In its simplest form, GIS technology delivers information based on a physical location. Think of it as a “smart map” that not only provides locations but can answer your questions, too. Today, schools are using GIS technology to automate parent-school communication, which also enables administrative staff to become more effective. It also has become an invaluable data visualization tool for administrators during long-range school-planning processes. Here are four key examples of how your district can leverage the power of GIS technology. In the past, administrators and school planners would look at old maps or address books to determine school boundaries. In fact, many districts are still doing this, making it difficult for parents to easily access information when they have questions about what school attendance area they live in. The problem with this method is that maps or data can become inaccurate or outdated, and are not easily accessible when parents are working to get their child out the door to school. By contrast, modern automated school locators update spatial data within the district’s boundaries to reflect new roads, routes, and neighborhoods. By simply typing in their home address, parents can access information about which school their child should attend and additional information regarding attendance boundaries. I recently met with a school’s administrative staff, and they said they keep LocateMySchool™ open on their screens all day. Why? Because the tool allows them to quickly answer parents’ questions regarding where their children should catch the bus, walking routes, and building locations. The administrative staff can even provide directions right to a child’s bus stop location while the parent is on their cell phone and looking at the same map. As an administrator, you know situations change and flexibility is key when making long-range plans. Districts are constantly identifying patterns and working to predict when they’ll need to open new schools, close old schools, prevent overcrowding, create new programs—the list goes on and on. All these factors involve boundary planning, which can be refined down to a science, thanks to GIS technology tools. Smart maps allow you to easily see the area of student populations relative to where the schools are located, helping you make better decisions about adjusting boundaries. You can conduct searches to identify how many students are close to a given school or how many students would have to be reassigned if a boundary were changed—essentially, if you have the data, the possibilities for implementation are endless. 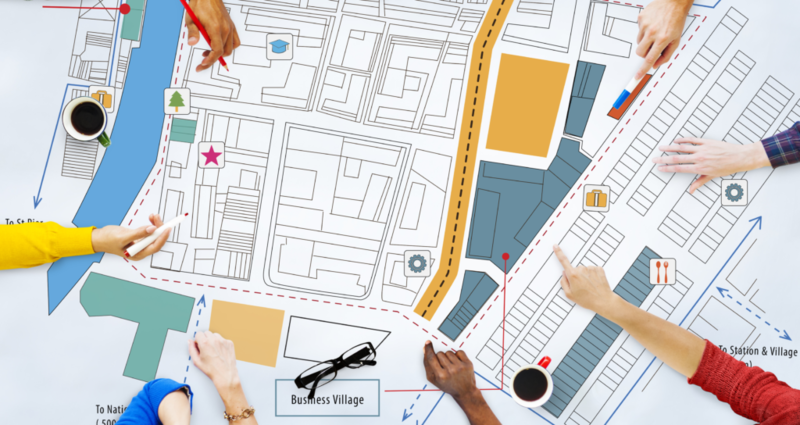 A tool that’s powered by GIS technology gives you the ability to quickly and easily run scenarios, gauge their impact, and decide which would be the best to present to your board or planning committee. Have you heard the phrase “a picture is worth a thousand words?” It certainly applies to the visualization of student data. Our brains are stimulated by visual elements, which is why more schools are using GIS technology boundary planning tools to visualize student data and bring numbers to life in the form of school boundaries, attendance rates, test scores, population trends, etc. Some people have a difficult time looking at tables and graphs during a presentation, but the inclusion of a visual representation of data helps concepts materialize. From my experience in education, maps and visual representations are much more successful at relaying information than normal, traditional, tabular data.